Pssttt. Did you hear the news?! Shopkins are coming to Vaughan. That's right, I said SHOPKINS ARE COMING TO VAUGHAN. Like, seriously. What are these things, you ask?! 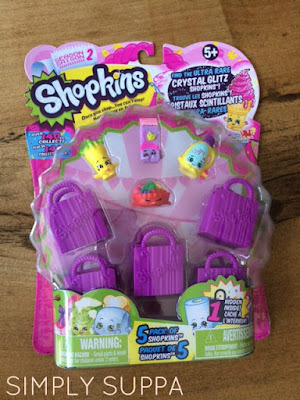 Shopkins is a collectible line of characters inspired by items found in the grocery store. These miniature items are extremely popular with young kids and pre-teens and have created an extraordinary fan following on their YouTube channel. To date, 65 MILLION Shopkins have been sold around the world -- and like any must-have, parents have been searching the country for the chance to get their hands on the hottest toy of the year. Well, look no further. The winner of the 2015 Toy of the Year Award is now available at National retailer Showcase -- and you can pick them up right here in Vaughan at Vaughan Mills Mall. 101 Showcase stores will be selling more than 100 Shopkins items including characters, playsets, books and board games. And that's not all! How would your kids love to be invited to an exclusive Shopkins event, right here in Vaughan? Come and meet Strawberry Kiss, participate in a colouring contest, test your luck with free giveaways and trade and swap Shopkins at Vaughan Mills Mall on Friday, June 5! THREE LUCKY SIMPLY SUPPA readers will win a Shopkins Mystery Prize Pack! All you need to do is enter the contest below. Good luck!